ichael “Smuck” Schmucker has had a lifelong love of firearms. Raised in urban Detroit, Smuck spent his summers in rural Michigan hunting and fishing. After serving in Viet Nam, Smuck moved to California in 1976 and started his competitive shooting career at a silhouette handgun match in September 1981. A dominating force from the beginning, he won the unclassified class at his first match. West End Gun Club became his home club where he became active in many different disciplines. 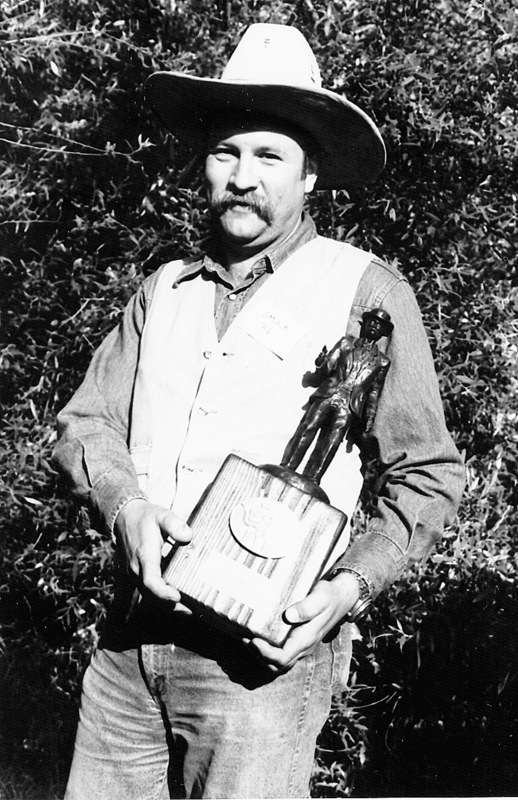 Smuck attended his first cowboy match at Coto de Caza January, 1983, and took nearly everyone by surprise by winning the overall match. He finished 7th at his first END of TRAIL in 1983. His historical string of END of TRAIL wins began in 1984. Shooting in the Modern category, he was Top Gun and earned the Black Badge. Smuck had success again at END of TRAIL 1985, becoming the first multiple END of TRAIL winner. Smuck decided to try cap and ball in 1986 and won the END of TRAIL Blackpowder Category that year and again in 1987. 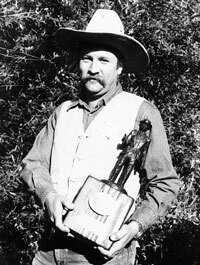 Smuck returned to END of TRAIL 1988 with Colts and took first in the Traditional Category, winning an unprecedented third Top Gun award. In 1989-90, he again won cap and ball, and in 1991 he competed in Frontier Cartridge, and won that category. Smuck participated in other major matches as well. He won a record four Showdowns, took Top Gun honors at Railhead in 1991 and the inaugural Cowtown, and continued to dominate the monthly match circuit. He also won the Long Range Single Shot event at END of TRAIL 1988 and Railhead 1991. Michael “Smuck” Schmucker continues to excel in the shooting sports. No matter what guns you put in his hands, he can and will dominate.